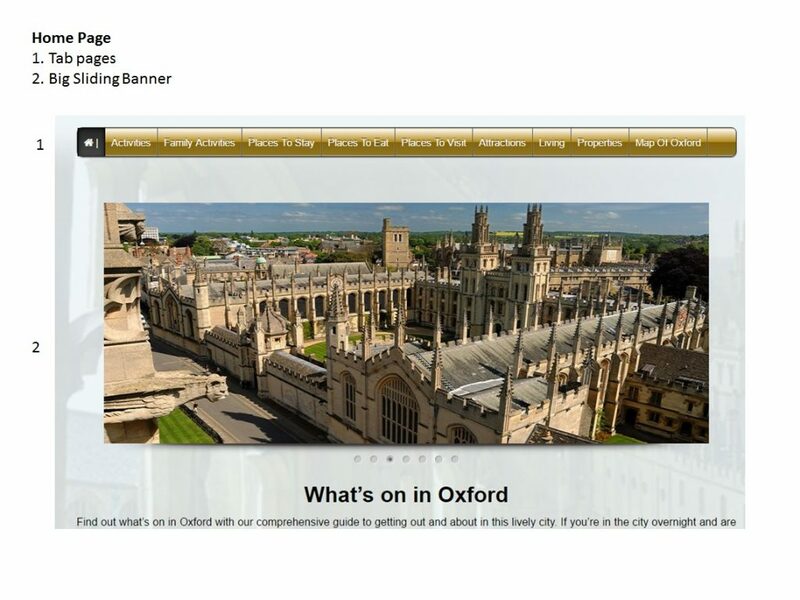 WhatsOnInOxford.net, Oxford’s go to website for places to eat, drink, stay, be entertained and more! During August we are offering amazing introductory prices for new customers. We are offering a free advert on our home page with all adverts purchased this month. You will see that our usual price for a single box advert, in the category of your choice, is £61pm. We are offering this advert for £58pm on a month by month basis, £53.67pm if you sign up for 3 months, and just £45.67pm for 6 months. And of course, you will have a FREE advert on our home page too! 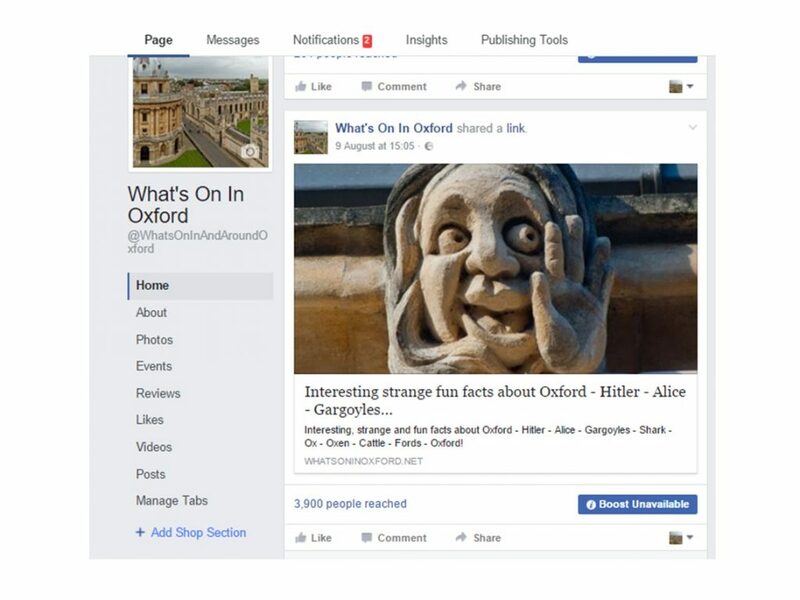 Not only will your business be advertised on WhatsOnInOxford, we will make sure that your business is seen by our customers by using Facebook and Twitter, with appropriate hashtags and sharing your pages, events, website and Twitter account where appropriate. 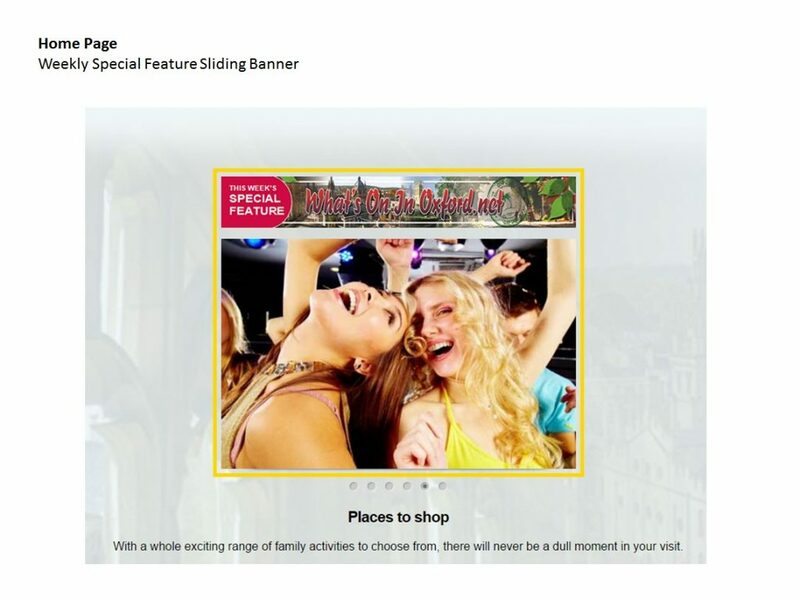 We will happily promote any events or special offers, and these can be added/changed as often as you like. Our website is currently getting over 1000 views per week, and this is building daily and will continue to do so with SEO and paid advertising on google and Facebook. 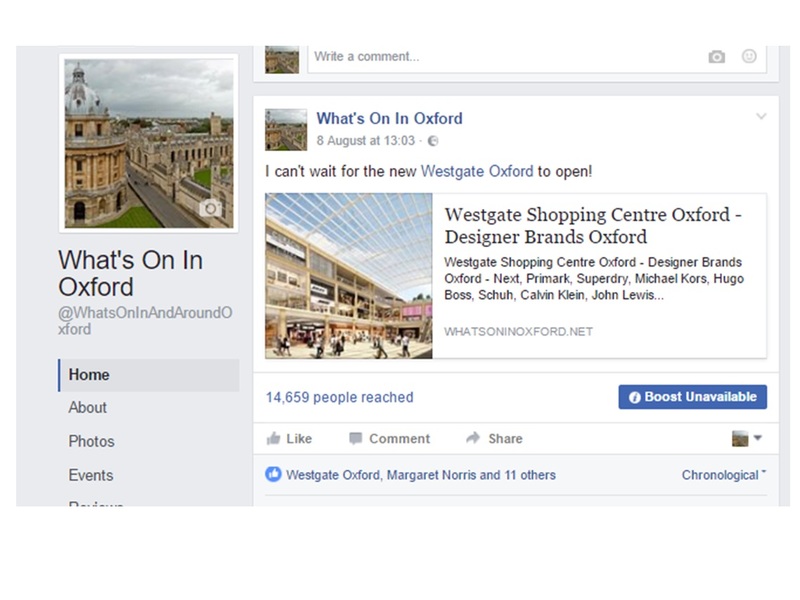 We make use of selling sites and other appropriate pages to ensure your business is seen by as many potential customers locally as possible, as well as visitors to Oxford. 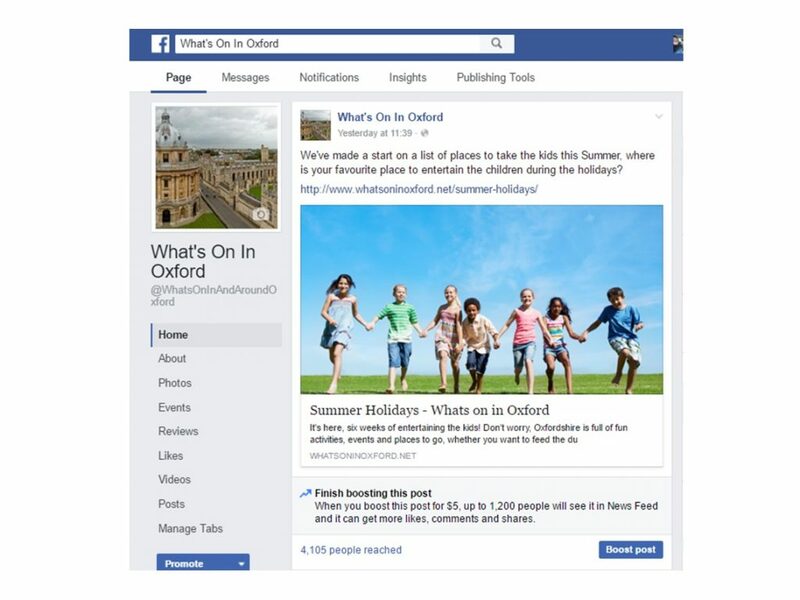 We have a news page that we like to use to tell our (and your) customers about what’s happening in Oxfordshire, this never displays miserable news, just exciting events, offers and good news stories, this can be utilised by yourselves at any time during your advertising with us. 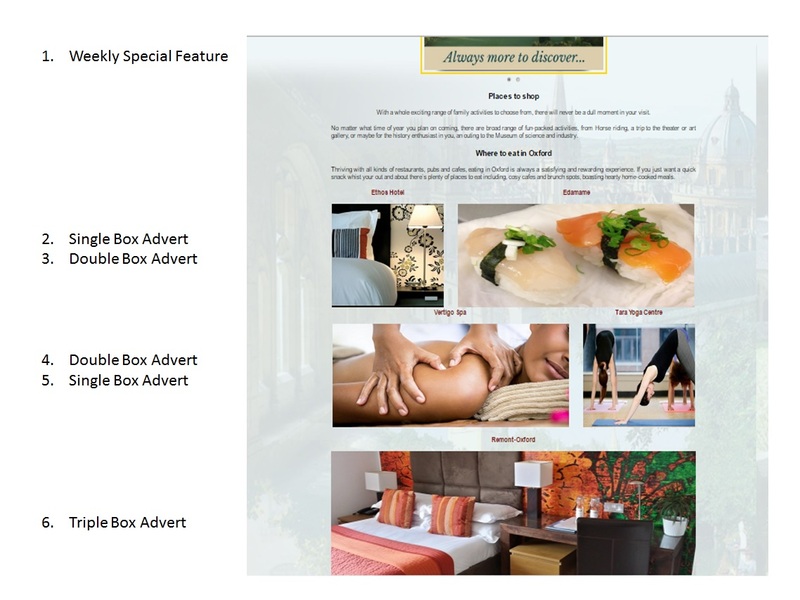 This is just one example of our adverts and the costs, but we can make a package to suit your needs, August is the month to do this as there are savings to be made and an amazing FREE advert on our home page! Remember, we don’t just advertise your business and forget about it, we will work with you to advertise events and offers, as often as possible, we want this website to be the best, and we want to work with you to make that happen!! If you would like more information or to book your advert, you can call our team on 01865 407360 or email hello@whatsoninoxford.net. Alternatively, you can contact us on Facebook or Twitter.